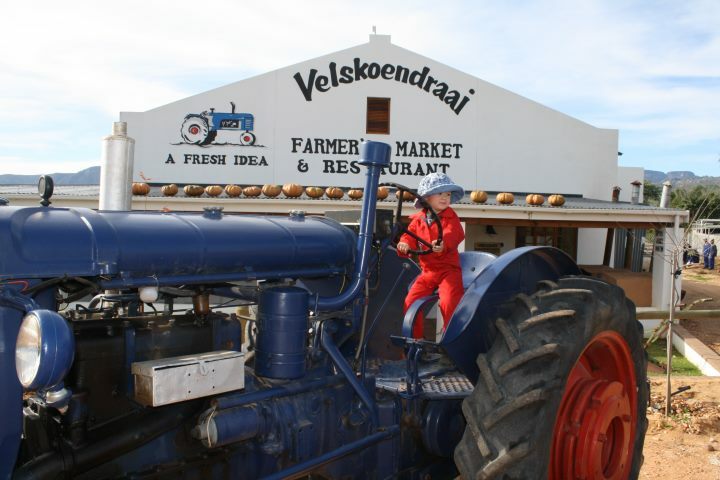 Velskoendraai is situated on the working citrus farm, Twee Riviere, right at the entrance to Clanwilliam. Our menu is affordable and innovative and we use mainly fresh produce that is in season & what is available locally. We`re a family restaurant with a play area for children. 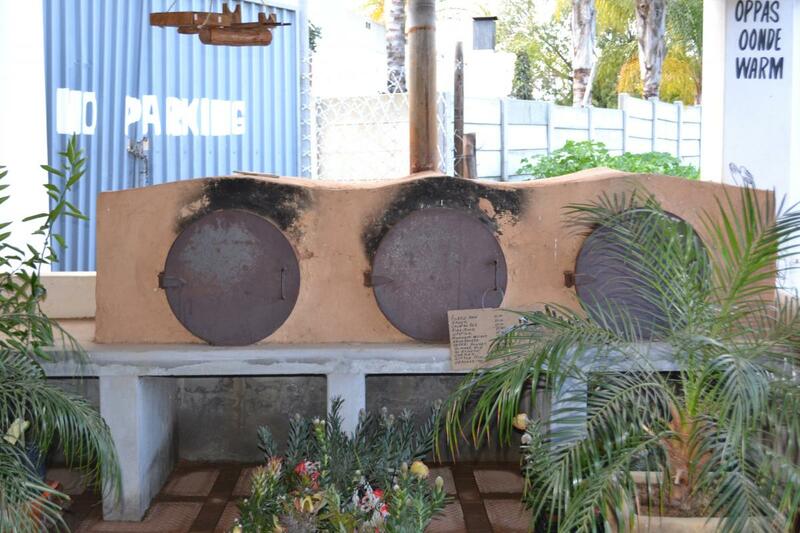 We bake our own breads and even host private or corporate functions for up to 35 people. Most popular on our menu, is our Velskoen Full Breakfast, our Roosterkoeke, our Chicken Schnitzel, home made Rooibos tea ice cream, and our toasted Farm style sandwiches and vegetarian dishes. Open from Monday - Friday 8:00 - 17:00 and on Saturdays from 8:00 - 14:00. Closed on Sundays. 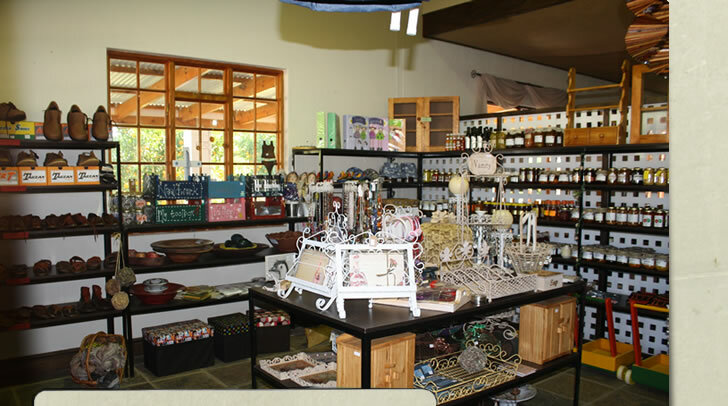 Gift Shop / Farmer`s Market Our Farmer`s market and gift shop supports local producers and organic growers from surrounding areas. We also support the community by selling their home made crafts, art and preserves, jams, baked rusks and cookies. 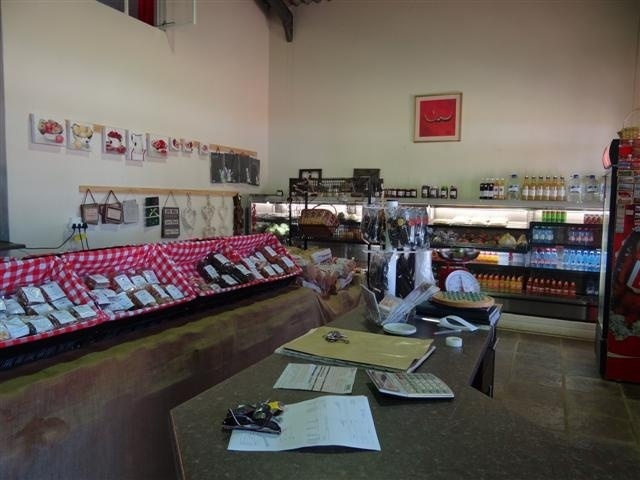 We have a exciting range of Rooibos teas and all the flavours are on our menu for you to taste. We stock leather shoes, pottery and rusted wire crafts. In season we sell waatlemoen, spanspek, pockets of oranges, butternut and potatoes, as available from our local farmers.